Abdominoplasty also known as tummy tuck surgery carried out to reduce belly size, modification of the belly sag or tummy bulge, tightening of the lax tummy muscles and removal of the reduce skin. Looseness of the abdominal muscles mainly caused by pregnancy, aging, significant variations in weight or may be heredity. 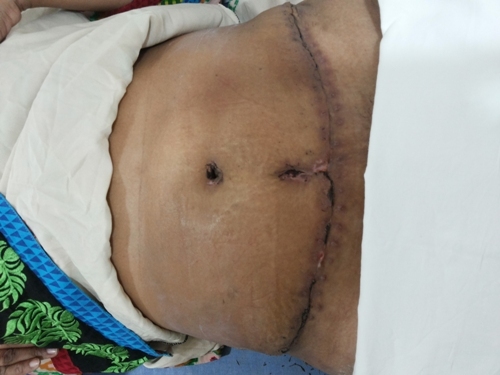 Get grid of flabby skin with abdominoplasty, it more substantial in addition to involve removal of fat, tensing of the musculature and removal of excessive skin. Required time for surgery is maximum 2 to 4 hours, patient kept under observation for a night or two. For anesthesia there is a choice among spinal, epidural and general anesthesia. Patient can get back to his/her daily routine within 5-6days. Results of this surgery treatment are long lasting offered the muscle tissue and the epidermis do not reduce flexibility for any reason which is beyond control. Outcomes are noticeable soon after the surgery treatment and the process goes on until about 12 several weeks or more to get the outcomes.